Rachel Essie Pritchard Gathany was born on August 17, 1926 in rural Hart County, Georgia, the daughter of Rufus Almond and Flora Johnson Pritchard. She went to meet the Lord on July 8, 2007 at Emory Hospital in Atlanta from complications associated with treatment of lymphoma. Visitation will be at Whitlock Mortuary on Friday, July 13 from 7:00 to 9:00 PM. The celebration of her life and home going to Heaven will occur on Saturday, July 14, 2007 at 2:00 PM at Grace Chapel at Toccoa Falls College. Internment will be thereafter at Stephens Memorial Gardens. After the death of her father when Rachel was three years old, her mother moved the family to Asheville, North Carolina in 1935. Rachel graduated from Lee Edwards High School in Asheville. In 1943 she entered Toccoa Falls Institute where she met her future husband, Leon Gathany. On December 31, 1946 Rachel and Leon were married in Great Bend, Pennsylvania and moved to Nyack, New York where her husband completed his degree at Nyack Missionary College. In 1948 Rachel and Leon moved to Birmingham, Alabama where Leon became the pastor of the North Birmingham Gospel Tabernacles and Rachel became a pastor’s wife. In 1950, expecting their first child, Rachel and Leon moved to Great Bend, Pennsylvania where Leon became minister of the Great Bend Christian and Missionary Alliance Church. While serving in Great Bend, Rachel and Leon had four children, Richard, Timothy, Rebecca and Deborah. After eleven years in Pennsylvania and four years in Minnesota, Rachel and Leon returned to Toccoa Falls where Rachel completed her Bachelor of Science degree in 1972. She continued on to the University of Georgia where she completed her Masters of Education in 1975. She became the Director of the Stephens County Mental Retardation Service Center in 1973 and continued in that position until her retirement in 1988. She was a lifelong working mother, having always worked outside the home as an accountant, teacher and administrator. In retirement she worked tirelessly with the local Association of Retarded Citizens, the Child Evangelism Fellowship, the Toccoa Falls Women’s Auxiliary, and other activities with the First Alliance Church of Toccoa where she was a member. 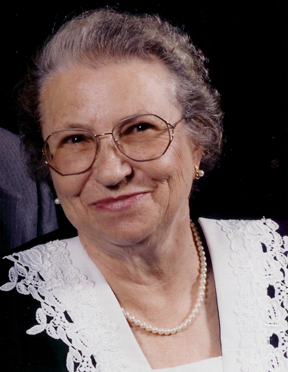 In 2006 Mrs. Gathany and her husband received the Toccoa Falls College Alumni Association Service Award. She often assisted with her husband’s nature programs at Tugaloo State Park, schools and churches around the state. She was a mother and grandmother figure to hundreds of children throughout the United States and perhaps the world. Rachel Gathany is survived by her husband, Leon Gathany of Toccoa; two sisters, Bonnie Denson of Toccoa and Mary Haynes of Hudson, NC; a brother, Waymon Pritchard of Jacksonville, NC; four children, Richard Gathany of Stone Mountain, GA, Timothy Gathany of Kennett Square, PA, Rebecca Gathany-Bailey of John’s Creek, GA and Deborah Gathany-Keeney of Sandy Springs, GA; five grandchildren, Stephen and Nicole Gathany of Stone Mountain, Nicholas and Philip Gathany of Kennett Square, PA, and Erin Keeney of Sandy Springs, GA; two daughter-in-laws, Jessie Gathany of Stone Mountain, GA and Eleanor Gathany of Kennett Square, PA; two son-in-laws, Don Bailey of Johns Creek, GA and Rick Keeney of Sandy Springs, GA; three step grandsons, Ricky Keeney, Andrew and Anthony Bailey; and a host of nieces and nephews. She was preceded in death by two brothers, George Pritchard and Joseph Vaughan. Memorials may be made to the Northeast Georgia Child Evangelism Fellowship or the Leon and Rachel Gathany Museum Foundation at Toccoa Falls College. Hello and Greetings to you from the family of Rachel Gathany. As most of you know I am Richard Gathany, the oldest son of Rachel and Leon Gathany, and was blessed to have been around my mother for over fifty-seven years. This can be a solemn time as we reflect on the past few days. But we are here to celebrate the life and the home going to Heaven of Rachel Gathany. The family would like this time to honor Rachel Gathany and her accomplishments. We want to remember the wonderful and caring person that she was. While we mourn our loss we must remember to rejoice that mother has lived her life to the fullest and has now entered Heaven. If we are a sad perhaps it is because we will not have her here to do those things that she once did for us. Certainly we were all touched by her caring personality and her generosity. We received much benefit from being around her, by being near her. She was always asking if we needed something, if we were comfortable, if we were hungry. And if we had a need she would what she could to help. She was always looking out for others and sometimes paid little attention to her own needs. When she was in the hospital she thought not about herself and that she might never return. She was concerned that she be able to serve others and desired to get better so that she could “be useful again. So here is a small poem in tribute to my mother that expresses how I feel about her life and recent troubles. For her family, her church and the world. She made herself useful again and again. To make herself useful again. So there is no doubt in our minds. She has gone to a better place. And to make herself useful again. This time is not for pain. She has made herself useful again. Thank you, Timothy, for reminding me of Mother and that day.